He as Dracula and she as the devil - simple but effective costumes! 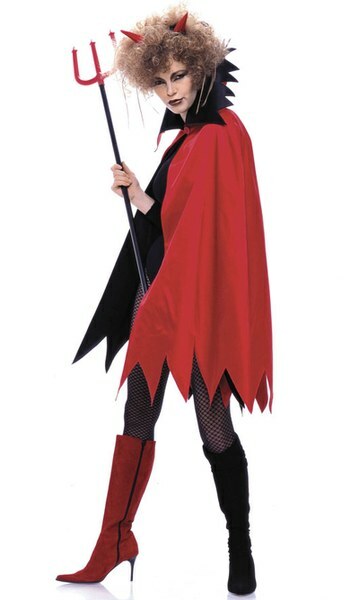 Each cape is lined with a suitably contrasting fabric. Cape A is long with a large collar. 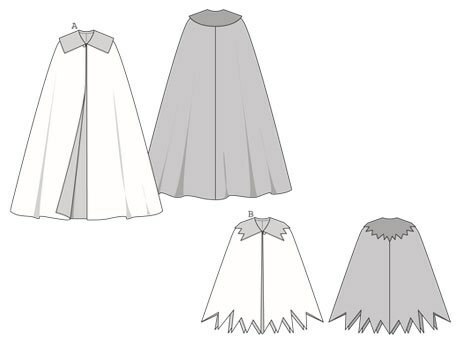 Knee-length cape B has zigzags on the collar and hem.